Imo State Governor, Mr Owelle Rochas Anayo Okorocha who has been in the news for numerous reasons with the recent being the alleged compelling of the returning officer in his senatorial district to announce him as the winner of the Senatorial election and his subsequent denial of a certificate of return in the just concluded 2019 elections seems to be suffering from a chronic case of amnesia and perhaps in dire need of immediate medical attention. 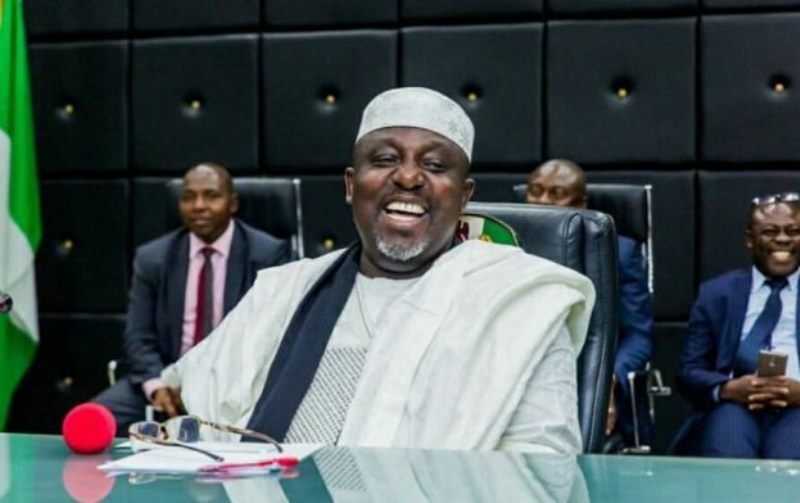 Information made available to SecretReporters reveals that the outgoing governor of Imo state who inaugurated board members for the Imo Pools Betting and Gaming Board on Friday 5th April 2019 at the Imo International Conference Centre (IICC), Imo State presented appointment letters to the appointees backdated to 24th January 2019 instead of 5th April 2019. It was gathered that upon receipt of the letter with serial number SGI/S.0117/T.2/V1/129 from the supposed “Iberiberism” father and signed by the Secretary to the State Government, Mark Uchendu, the newly appointed chairman of the board Hon. Darlington Oparaji was perplexed to discover that the letter was dated 24th January 2019 as against 5th April 2019. It was also gathered that this broad daylight fraud being perpetrated by the Imo State governor left the chairman, Hon. Darlington Oparaji and his board members wondering if the letter handed over to them was authentic as it was beyond doubt that the backdated letter was an intentional act seeing that the SSG appended his signature on the document. Critics believe that the backdated document by the state government was not a mistake at all but either a cunning move to cover his corrupt tracks of embezzling funds belonging to the board which may be exposed as soon as he relinquishes power and his immunity taken away or a clear move to indict the newly appointed members of the board as being responsible for missing funds between January to the date of their appointment.